Zojiroshi has been making bread machines, for almost 10 years. They produce high-end bread makers, which have been very popular with many home bakers. Although they may be considered slightly expensive than other brands in the market today, you are guaranteed to get value for money. They are exactly worth their price. Therefore, if you value convenience, consistency, quality, and versatility in bread making, these are the machines for you. Every Zojiroshi bread-making machine has been fitted with two kneading blades, to ensure that the flour is kneaded to perfection. There are several Zojiroshi bread makers in the market today, and here are some that you can consider, for your home baking. 1. Zojirushi BB-PAC20 – Our Best Pick! This bread machine produces rectangular-shaped, large 2-pound loaf, with a quick baking cycle. It also comes with a measuring apparatus, similar to a measuring spoon and a measuring cup. 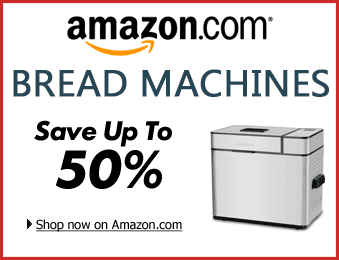 It produces excellent results on dinner rolls, loaves, pizza, and baguettes among others. You just need to give it an order, and when you return after 90 minutes, you find that the loaf is ready. It features sturdy stainless steel handles, which make it easy to handle and remove the pan. Additionally, it has been fitted with a clear and large viewing window, which means that you can see the progress, without any hindrances. The materials used for making the unit are environmental friendly. There is no lead or mercury. A non-stick horizontal pan has also been included, together with two blades, which are used during the kneading process. It also comes with an additional heater lid, which produces a perfectly browned crust. For ease of use, it has 3 programmable cycles, allowing you to knead, rise and bake easily. When compared to the services it provides, the unit can be termed as lightweight. The pan is non-stick, which ensures that dough does not stick. Moreover, the pan is removable, for ease of cleaning. This bread maker comes with crust control together with a viewing window. Although it looks large, the unit is light, which makes it easy to move it from place to the other. it has been designed with a 13-hour delay timer, together with bake pan pre-programmed settings. For better viewing, it has been fitted with an LCD display. The display is small, which provides an extra and larger window for viewing. Therefore, the baker can conveniently and easily monitor the progress of baking. The unit produces large and nice dough. Like other Zojirushi bread makers, it has two kneading blades, which makes it easy to handle thicker and larger dough. Another important benefit with this bread maker is the ease of use, for both experienced and new users. It provides all the convenience needed, during the baking process. Settings are already programmed, which means you just need to prepare your dough, and leave the bread baking, as you attend to other things. It also comes with an audible signal, for nuts and fruits reminder. The external has been coated with a non-stick coating, which ensures dough is not stuck. Additionally, it features two dedicated low carb and gluten free bread, for more variety. A measuring spoon has also been included, to produce results with a higher accuracy. It is easy to clean and very affordable. Read our indepth review on Zojirushi BB-HAC10 here. This is a very popular bread-making machine, with both experienced and new users. It comes with dual-blade, which enables it to produce 2-pound loaves, which have rectangular shapes. It is user friendly, which is why it is recommended for experienced bakers and even new users. Another important feature is the inclusion of ten important pre-programmed settings. This enables the machine to produce bread with three crust shades. Also fitted is an LCD control panel, making it easy to read the units on the display. There is also the 13-hour delay timer, together with a large viewing window, keeping you updated during the whole process. It is easy to clean, and comes with a non-stick and removable bread pan. Apart from the superior features listed above, it comes with important user manual recipes, measuring cup and measuring spoon, ensuring that you don’t get confused, when measuring the ingredients. Read more about this baking model here. This deluxe bread maker has been fitted with automatic settings, among a list of other advanced features. It has fully embraced modern technology. 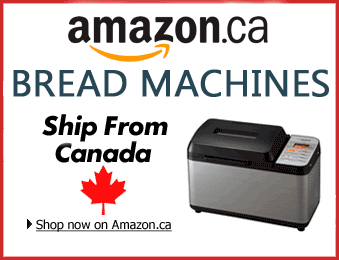 The machine is affordable and very easy to use. One important feature that is highly appreciated by home bakers, the three-memory recipe functions. It also comes with a sourdough starter. Also included is a 3-level crust control, leading to the production of bread or cakes with a delicious appeal. It can also be used to prepare cakes. Novice bakers will appreciate the 13-hour programmable timer. It also comes with double kneading paddles, allowing the user to have 2-pound rectangular loaf. To add to the important features of this unit, is the fact that it has a small footprint. Therefore, it can fit perfectly, even in kitchens where space is limited. Find out more about BBCCX20 model here. The virtuoso Breadmaker comes with an LCD control panel, which is easy to read. Like other Zojirushi breadmakers, it has been fitted with a 13-hour delay timer, giving you the convenience and luxury of time. 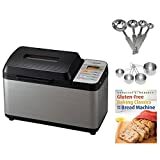 It has also been designed with multiple menu settings, which allow the user to make basic, gluten free, wheat, banana, apple, jam or sourdough bread or cakes. Since it has an extra heater on the lid, it is able to produce a perfectly browned crust. You don’t have to worry that the dough might be under-kneaded, since the machine comes with double kneading blades. For those who are beginning to bake at home, this is the ideal machine. It is very easy to clean and operate. Since it comes with automatic settings, the unit can be left on its own, and the bread will be ready within a short period. For those who are looking for quality and value for money, this is a good starting point. Zojirushi bread makers are perfectly suited for both beginners and experienced users. They are high quality machines, featuring solid construction. They are designed to last, with a guarantee of serving you for many years. Apart from the quality, their operation is noiseless, while the baking pan is non-stick and odorless. They allow baking of bread at the convenient moment, freeing up time for other things. They are the best choice for all home bakers. Bread Machine Mom Copyright © 2019.